New York City is known for museums, nightlife, shopping, historic sites, and parks. Your plan includes some of its best attractions: make a trip to Central Park, admire the masterpieces at The Metropolitan Museum of Art, admire the striking features of Rockefeller Center, and appreciate the history behind Statue of Liberty National Monument. To see maps, reviews, ratings, and other tourist information, go to the New York City online vacation planner . Budapest, Hungary to New York City is an approximately 14-hour flight. You can also do a combination of flight and bus; or do a combination of train and flight. The time zone difference when traveling from Budapest to New York City is minus 6 hours. Traveling from Budapest in August, you can expect nighttime temperatures to be a bit warmer in New York City, with lows of 25°C. Finish your sightseeing early on the 17th (Sat) so you can travel to Niagara Falls. Kick off your visit on the 17th (Sat): admire nature's wide array of creatures at Aquarium of Niagara, Head underground at Cave of the Winds, and then take in the dramatic scenery at Niagara Falls. On the next day, take in panoramic vistas at Niagara Falls Observation Tower and then try your luck at Seneca Niagara Casino. For maps, reviews, photos, and tourist information, go to the Niagara Falls tour builder . Do a combination of flight and bus from New York City to Niagara Falls in 5.5 hours. Alternatively, you can do a combination of bus and flight; or drive. Expect little chillier evenings in Niagara Falls when traveling from New York City in August, with lows around 19°C. Wrap up your sightseeing on the 18th (Sun) to allow time to travel to Washington DC. Washington DC is known for museums, historic sites, nightlife, zoos & aquariums, and parks. Your plan includes some of its best attractions: see the interesting displays at National Air and Space Museum, ponder the world of politics at Library of Congress, pause for some photo ops at Vietnam Veterans Memorial, and get engrossed in the history at United States Holocaust Memorial Museum. To see ratings, maps, and more tourist information, read Washington DC trip planner . You can do a combination of bus and flight from Niagara Falls to Washington DC in 4.5 hours. Other options are to do a combination of bus, flight, and train; or drive. Expect somewhat warmer temperatures when traveling from Niagara Falls in August; daily highs in Washington DC reach 36°C and lows reach 25°C. Finish up your sightseeing early on the 21st (Wed) so you can travel to Miami. On the 22nd (Thu), examine the collection at Vizcaya Museum and Gardens, then get a taste of the local shopping with Lincoln Road, then enjoy the sand and surf at South Beach, and finally pause for some serene contemplation at Saint Francis de Sales Catholic Church. 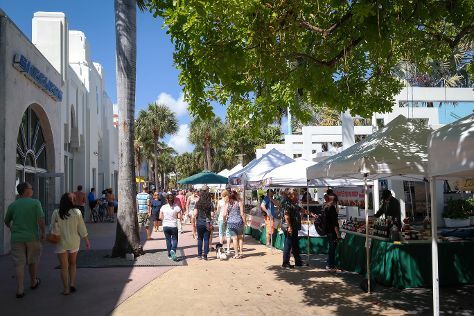 Here are some ideas for day two: buy something for everyone on your list at Bayside Marketplace, then take a tour by water with Boat Tours & Water Sports, then wander the streets of Ocean Drive, and finally wander the streets of Art Deco Historic District. To find other places to visit, where to stay, photos, and more tourist information, go to the Miami vacation planner. Fly from Washington DC to Miami in 4.5 hours. Alternatively, you can do a combination of train and flight; or drive. Plan for somewhat warmer nights when traveling from Washington DC in August since evenings lows in Miami dip to 30°C. Finish up your sightseeing early on the 23rd (Fri) so you can travel to Grand Canyon National Park. On the 24th (Sat), hike the day away at Bright Angel Trail. The adventure continues: take in breathtaking views at Grand Canyon South Rim, get great views at Mather Point, pause for some photo ops at Powell Point, and hike along South Kaibab Trail. For other places to visit, where to stay, traveler tips, and tourist information, read our Grand Canyon National Park travel route planner. Traveling by combination of flight and bus from Miami to Grand Canyon National Park takes 13.5 hours. Alternatively, you can drive. Due to the time zone difference, you'll gain 2 hours traveling from Miami to Grand Canyon National Park. When traveling from Miami in August, plan for slightly colder days in Grand Canyon National Park, with highs around 31°C, while nights are cooler with lows around 11°C. Finish your sightseeing early on the 27th (Tue) so you can drive to Salt Lake City. Start off your visit on the 27th (Tue): test your team's savvy at popular escape rooms. Here are some ideas for day two: learn more about the world around you at Natural History Museum of Utah, then admire the natural beauty at Red Butte Garden, and then take in breathtaking views at Big Cottonwood Canyon. For more things to do, reviews, and other tourist information, use the Salt Lake City trip itinerary planner. Traveling by car from Grand Canyon National Park to Salt Lake City takes 8.5 hours. Plan for somewhat warmer temperatures traveling from Grand Canyon National Park in August, with highs in Salt Lake City at 39°C and lows at 22°C. Finish your sightseeing early on the 29th (Thu) so you can travel to Las Vegas. Start off your visit on the 30th (Fri): try to win big at Bellagio Hotel and Casino, then admire the natural beauty at Bellagio Conservatory & Botanical Gardens, and then take in breathtaking views at Red Rock Canyon National Conservation Area. Get ready for a full day of sightseeing on the 31st (Sat): examine the collection at The Mob Museum, then take a stroll through The Strip, and then ponder the design of Bellagio Fountains. To find traveler tips, maps, reviews, and tourist information, go to the Las Vegas vacation site . Traveling by flight from Salt Lake City to Las Vegas takes 4 hours. Alternatively, you can drive; or take a bus. The time zone difference when traveling from Salt Lake City to Las Vegas is minus 1 hour. Expect somewhat warmer temperatures when traveling from Salt Lake City in August; daily highs in Las Vegas reach 45°C and lows reach 29°C. Finish your sightseeing early on the 31st (Sat) to allow enough time to travel to San Francisco. San Francisco is known for nature, museums, nightlife, shopping, and childrens museums. Your plan includes some of its best attractions: take in the views from Golden Gate Bridge, admire all the interesting features of AT&T Park, take in nature's colorful creations at Japanese Tea Garden, and take a stroll through Fisherman's Wharf. To see more things to do, other places to visit, traveler tips, and more tourist information, read our San Francisco planner . Traveling by flight from Las Vegas to San Francisco takes 4 hours. Alternatively, you can drive. Traveling from Las Vegas in August, you will find days in San Francisco are colder (26°C), and nights are slightly colder (17°C). Wrap up your sightseeing on the 3rd (Tue) early enough to travel to Los Angeles. 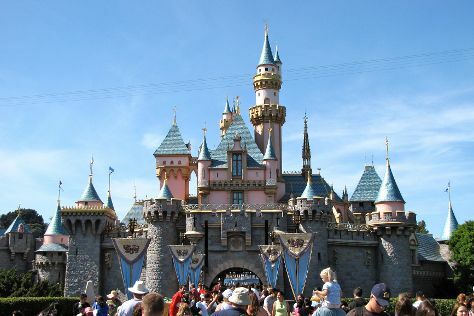 On the 4th (Wed), discover the magic at Disneyland Park. On the 5th (Thu), you'll have a packed day of sightseeing: get in on the family fun at Universal Studios Hollywood. To find photos, other places to visit, and other tourist information, go to the Los Angeles tour itinerary planner. You can fly from San Francisco to Los Angeles in 4 hours. Other options are to do a combination of train and flight; or drive. Expect a bit warmer temperatures when traveling from San Francisco in September; daily highs in Los Angeles reach 34°C and lows reach 22°C. Wrap up your sightseeing by early afternoon on the 6th (Fri) to allow time for travel back home.